If there’s one thing that smartphones have taught us, it’s that “there’s an app for everything”. Be it sending animated selfies to a friend across the globe or measuring the amount of calories you consume daily, there’s an app for that. However, there has been a glaring lack of any quality apps pertaining to Islam or well, any religion. A young Muslim wants to change that through his small app-developing startup called Quran Academy. 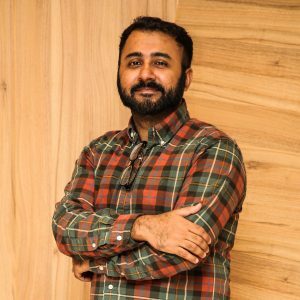 Bilal Memon, a Hafiz-e-Quran and an app developer, is an entrepreneur with a background in working and participating in startup accelerators. A resident of New York, he memorized Quran at the age of 11. Due to a busy life and balancing work with studies, his memorization of the Quran weakened with time. By the first year of college, he was starting to forget Quran. Worried, he decided to put his skills as an app developer to use and formed Quran Academy. He wanted to help himself as well as others by making memorizing the Holy Book of Allah much easier. “I started Quran Academy because I wanted to combine my skills and passion for technology with my love for the Quran and Allah SWT.” said Bilal. In May of 2016, Quran Academy released a one-of-a-kind Quran memorization app called “Quran Companion” for Android. Much more than just an audio recitation app, Bilal says that it has revolutionary social-led gamification and learning technologies that not only make memorizing the Quran fun and easy, but also social, accessible and convenient for the everyday, busy Muslim. The app is bustling with unique features including flexible learning environments that can be customized to a student’s learning preferences, guided lesson plans that can be customized to a student’s time schedule and even a ‘Swipe to Reveal’ game based on proprietary technology to make learning and revision fun. “The one who reads a single letter from the Book of Allah will be rewarded with 1 good deed. A good deed is multiplied ten times over. I do not say Alif Laam Meem is one letter. Verily, Alif is one letter, Laam is one letter, Meem is one letter.” (At-Tirmithi, Sahih)! Going by the sayings of the Holy Prophet SAW, the app has a “Hasanah Calculator” in place. For every word you read, it will award you with 10 Hasanah. The intention being that you can remain motivated in your goal to memorize Quran. There’s also a Daily Leaderboard that shows the top 100 users with the highest Hasanah points. It resets daily, so you and your friends can be motivated to race to be on the board each day. 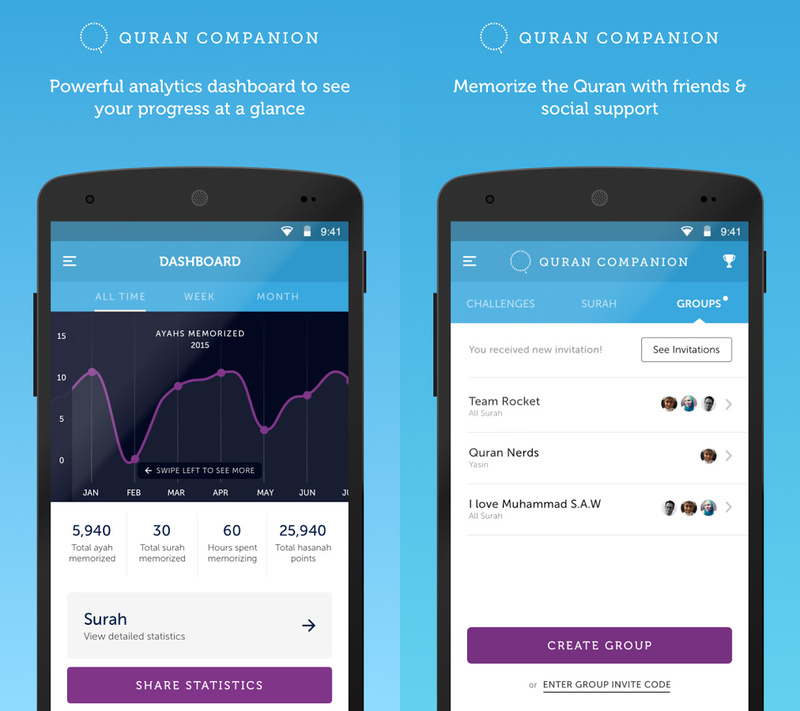 “Quran Companion” wants to propel you to learn more and it uses some innovative social techniques in doing so. 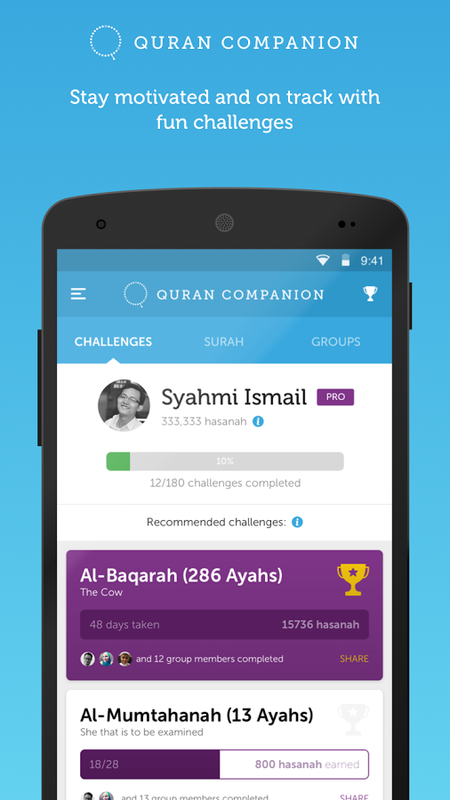 Challenges will present you the option to learn a specific Surah, rewarding you with “Hasanahs”. 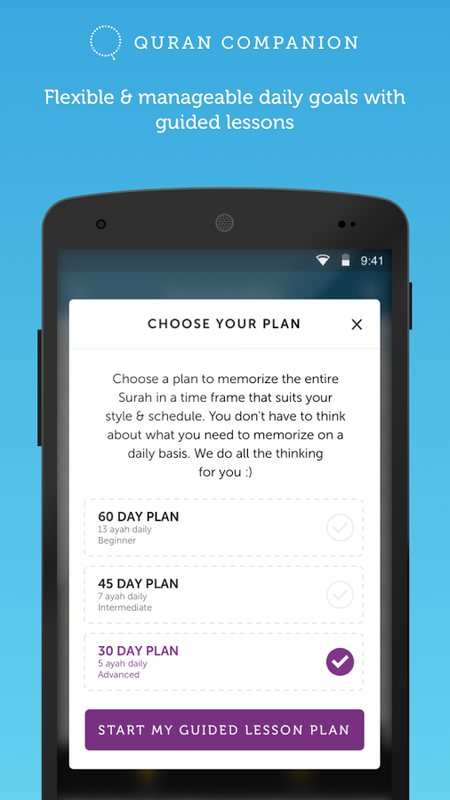 Besides giving you the motivation, the app also helps in providing an organized way of memorizing. Whenever you tap on a Surah to open it, it’ll ask you if you want to go by a “Guided Plan” or “No Guided Plan”. Choosing the latter option will let you memorize at your own pace. On the other hand, choosing “Guided Plan” will break down your daily lessons and even give you an estimate of the number of days it’ll take to memorize that Surah, if you keep to the plan. Swipe from the left and tap on “Dashboard”. This powerful feature monitors your performance, providing you an insight on how well you are doing in your goal. 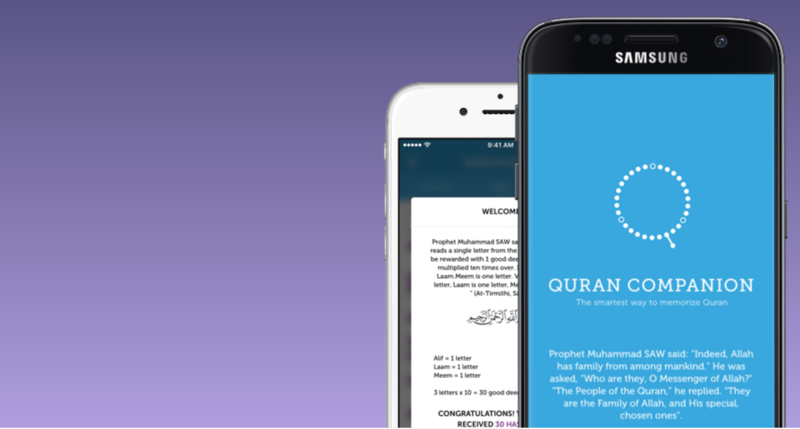 The app will also let you have up to 25 friends pursuing the same Quran memorization goal. The app is elegantly designed with a minimalistic, and beautiful UI. Once you have opened it, it’ll show you three tabs; Challenges, Surah and Groups. Tap on any Surah to start memorizing and choose a plan. The app will now show you a neat layout of the respective Surah. At the bottom of the screen, you will see two options for “Swipe” or “Audio”. Swipe is an innovative little feature that will let you simply swipe to display the number of Ayahs you want displayed to help in memorizing. Meanwhile, Audio, as the name suggests, will let you instantly stream the audio recording of any Ayah you want to. A double-tap on any Ayah can also be used to access “Audio” or “Translation”. The app is pretty generous in terms of customization too. You can head over to the Settings to switch between different scripts of Quran (Madina/Uthmani, Urdu, etc. ), choose between a dozen or so reciters or even pick your own preferred translator. There’s even an option to switch between layouts like Full Page or Ayah View. Quran Companion is available as a free download for Android. You’ll be given a free 7-day trial for the premium features of the app as well, after which you can buy a “Lifetime Access” pass for $9.99 to access them. Free features include reading the Quran, listening to audio and reading the translations while all the rest of the features come in the premium category. Download Quran Companion for Android. An iTunes version of Quran Companion is in the works too and is scheduled for release in the upcoming weeks. You can sign-up to be notified about the iOS app by visiting this link. After you sign-up, you will also receive their free ebook on 7 essential steps to make Quran memorization easy and meaningful in your daily life. 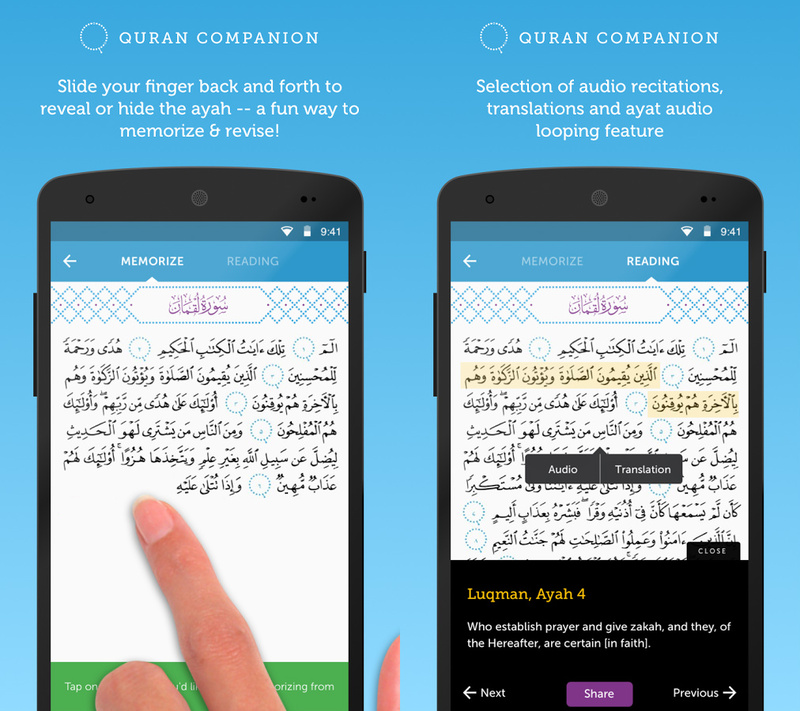 The post Quran Companion is an app to help you memorize Quran appeared first on TechJuice.